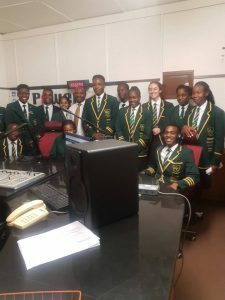 Power FM today hosted Lomagundi College upper six science class. It was a chance for students have an understanding and appreciation of a studio. They also go to experience how it feels like being on air and what goes on behind the scenes.